It’s hard to get away from technology when attempting to negotiate the increasingly impersonal world of free-market capitalism these days. Self-checkouts in supermarkets have replaced people; you can bank on the phone without ever talking to anything but a monotone automated voice and buy whatever you want on the internet with your credit card without ever having to say as much as “cheers” to a sales assistant. Most people have made the move to online banking already. Buying concert tickets, clothes and even grocery shopping has migrated to the world-wide-web, but how safe is it to use your credit card on the internet? Well the first thing you should know is that it is perfectly safe to buy goods and services online, but like anything that involves exchange of goods and services you need to be a little careful. There are a few things you should watch out for before you decide to get that little bit of plastic out. The first thing that must be said is that you should avoid making payments in a public place. Internet cafes, colleges and libraries are all out, when it comes to making purchases online. Ideally, you should always try and use your own computer when buying stuff with your credit card (or anything online) and secure your PC, laptop or mobile device by installing the latest antivirus and spyware tools. A handy tool to use when it comes to internet safety is the Web Security Card which, once clicked on, will alert you to how safe a website is. There are a number of other great security tools like the No Script App and WOT (Web of Trust) that can also help with online security. Also whenever you make a purchase on a site make sure there is a number that you can call if something goes wrong or you need to make a complaint. No phone number, email address or business address on a site is a sure sign that the company is not to be trusted. When it comes to using your credit card online, it is perfectly safe as long as you take a little bit of care and use a lot of common sense. If you are worried, don’t risk it. Today we have teamed up with NatWest to giveaway a £60 ASOS voucher to one of our readers to encourage safe shopping. To enter this competition just answer the following question in the comments area below and share this giveaway on your preferred social network. The competition will end at midnight on the 31st of January 2014 and the voucher will be sent to the winner by email so don’t forget to input your email address. Your email address won’t be displayed and we won’t send you any spam. If you would like to stay updated with future posts and giveaways though then you can get them for free by subscribing to emails or following us on social media. The Giveaway Question: What does the ‘s‘ stand for in https://… and if you had to choose a super power beginning with ‘S’, what would it be? Don’t forget to comment on this post answering the question above. Enter Before midnight on the 31st of January 2014. 347 Responses to How Safe is it to Use Your Credit Card Online? 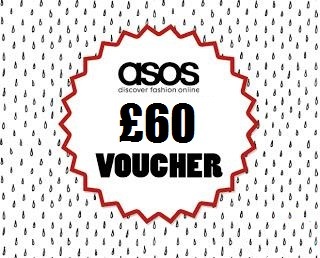 + £60 ASOS Voucher Giveaway! The S is for Secure. My Superpower is Safety. What more could you want for friends and family than to keep them safe in this world. the S is for Secure. I’d have speed for my superpower. The S stands for Secure. My superpower would be Speed. S stands for secure. My superpower would be sagacity. The s stands for secure. My super power would have to be summoning….. so at any time i can call upon people or objects to help me in sticky situations. Perfect! S is secure, I would have x-ray vision for those silly keys that are lost. The S stands for Secure. A super power beginning with ‘s’ for me would be Superhuman Speed so I could get jobs done more quickly and have more free time for myself! The S if for secure…. I can’t think of any other super power except speed…. S is Secure. superpower would be speed so I can get everything done in the house quickly and then just sit! The ‘S’ stands for Speed. My superpower would be Supersenses, a good all round power! S STANDS FOR SECURE. MY SUPER POWER WOULD BE STREWTH. My dream S superpower would be speed – my actual S superpower is shopping. The S stands for secure and my superpower would be Stealth so I could nip around unnoticed. S stand for secure and my superpower would be Strength! The S stands for Secure, and my superpower would be Spidey-senses! I’d be the “Six Pounds Man” – no matter where I go (in the UK) or how much I spend I’d always have £6 in my pocket. The S is for Secure. My super power would be speed. It stands for secure, and my choice of superpower would be… Superhuman speed! S stands for secure- Superpower – stealth! as a primary teacher and mother of 3 teenagers- I just have to know exactly what’s what before handing out the judgement of Solomon. And yes I do have eyes in the back of my head! I would turn my actual Super Spending power into Super Saving. the s stands for serure. And I’d say SuperNova! The “s” stands for secure. My special power would be ‘silence’ as no matter what I say to the question “does this look ok” from my wife I somehow say the wrong thing!!!!! S for secure. I’d love to fly. My superpower would be strength. Secure! Secret Shopper would be my super power. The S stands for secure. My superpower would be sanity! S is secure, I would have super hearing so I could hear things from quite away. Would be interesting.. Secure. My super power would be spring-heeledness. S stands for secure. My superpower would be stamina. S stands for secure. My superpower would be Serendipity. S = Secure. My superpower would be speediness – so little time, so much to do! the S is for Secure!! The S stands for Secure and my superpower would be stealth. The S stands for secure and my superpower would be speed! S is for Secure, my superpower would be strength – very hangy power! S is for Secure. My superpower would be Statesmanship so I could always negotiate help for those in need from those who had the means to solve the problem, and peace between warring factions or nations (and siblings!). The s stands for Secure. Secure 🙂 My superpower would be soap watching.. i’m super good at that as it is..
S is for Secure. My super power would be Speed! The s stands for secure. My super power would be Shape Shifting. My superpower would be super senses – so I can be more alert of what’s going on around me. S stands for secure. My superpower would be super-strength. Secure and my super power would be strength. It stands for secure, and my power would be Super Shopping – to never overpay or be ripped off! S is Secure. My super power would be teleportation, I hate hate hate driving and commuting. Ha didn;t read the question properly, does s-teleportation work??? seeing through liars would be rather useful! The S in for Secure. My superpower would have to be sound manipulation. S is for secure. And my super power would be super speed! My super power starting with s would be Super Speed! My super power would be Speed! Faster than a speeding bullet! My superpower would be sleep – I would love to be able to sleep for as long as I need with nothing waking me up! My superpower would be shapeshifting. The s stands for secure and I would have strength as my superpower. supersize so I can sit on people who annoy me lol! S stands for secure. I would choose spontaneity for my superpower, so I could constantly amaze everyone! S stands for secure, Superpower is Super woman!! S is for secure and Super Power would be Summoning as in the ability to summon objects or people at will to make my life easier….. after all being a Super Hero is hard work! S is for secure. My superpower would be saving! I would be rich soon enough! The S stands for SECURE and my super power would be silk spinner ! S stands for secure. my superpower beginning with s would be stealth. so what ever i was doing i was undetectable. Secure! My superpower would be superslim! The power to resist the fat and calories in cheese, and to eat it to my hearts content nomnomnom! Mine would be simplification – I’d be able to read anything and simplify it down so I could understand it. Would mean that I could easily learn anything in the world – how awesome would that be?! The ‘s’ in https stands for SECURE. As for my chosen super power beginning with ‘S’… SHAPESHIFTING could be fun! S stands for secure. My superpower would be savvy shopper! My superpower would be stamina. I’m getting on a bit so need all the help I can! I would like to have Super Intelligence! the S is for Secure. I’d have stealth for my superpower. My super power would be smell. I’d choose Sexxxxxy! I’d be Super Sexxxy & knock villains out with a bat of my eyelashes! S is for Secure, my superpower would be Stamina. S is for secure. I would choose Speed so I can run from zombies when the zombie apocalypse comes. S is for secure, If I had a superpower it would be: Slinky, I bend down the most awkward steps in style. The S is for Secure. I would have my S superpower as Strength so I could open those ketchup and Jam bottles that at present seem to elude me! My super power would be Suave – think about it, you get all the women and everything you desire in life ! It stands for ‘Secure’ and my super power would be… hmm… it would be strength so I could help people in dire situations and make my everyday life easier. Haha. my superpower would be SHAPESHIFTING! S is for Secure. My superpower would be Shapeshifting – the ability to transform myself into other people or animals. S is for secure and my superpower would be superhuman strength. The s stands for secure. I would choose speed as my superpower. The S is for Secure. The superpower I would most want is superb state of health and the power to give this to others. s is for Secure, my supper power would be Skittles, so I can be like the guy in the advert. In no way useful buy might be fun for the first minute. S is for Secure and my super power would be Silence. The S is for secure, essential to check the URL contains the S when purchasing goods from a website. Answer is Secure. My superpower would be speed, so I could whizz through all my daily tasks. S is for Secure. My super power would be Speed. S for secure, and super power would have to be speed, never enough hours in the day. A 5 minute commute would be great!! S stands for secure, and my superpower would be speed ! The S is secure. I’d choose superspeed so I could do much more each day. The S is for Secure, I would have shapeshifting as a super power. S is secure. I would choose speed as my superpower. The ‘s’ stands for secure and my superpower would be shapeshifting. The S is for Secure. I would have speed for my super power! S is for Secure. My superpower would be Superhuman Mentality. My superpower would be super speed so I could get the housework done in the blink of an eye! S is for secure and I would choose speed then I could get all my jobs done in half the time. S stands for secure. I wish I had the super power of super speed so that I could get through all the housework and boring stuff at high speed giving me more time to spend with my kids! Could I choose Sensory, as in ESP (Extra Sensory Perception). I’d love to be able to move myself, others, and things around the world without needing to use a car, plane, etc. S stands for Secure. My super power would be Strength, never again will I struggle opening a jar of jam! My superpower would be Simplicity. I’d be able to make sense of complicated forms and small print in the blink of an eye ! The S stands for Secure. My superpower would be super safe..I would always be SAFE! S is for Secure – My superpower would be speed so i could get my housework & mundane chores completed in super speedy time! S stands for secure – My superpower would be… seduction ha! My superpower would be shape shifting. The S stands for ‘secure’. My superpower would be a SuperSmile – the power to bring happiness wherever I go! I would choose speed as my superpower – it would certainly mean I could get more done quickly and not spend so much time travelling and ‘wasting’ time each day. It also means I’d get the washing up done in a few seconds! The superpower I would love would be speed so I could run further and faster and get in shape. The ‘s’ is for secure. As for the superpower, sorcery, cos it’s more flexible than others, being able to cast spells that can do loads of different things rather than just being stuck with being strong or stealthy. The S stands for secure, my super power would be teleportation. S stands for secure. I would choose smiling as a superpower as smiling in the face of adversity is a superpower! Answer: S for secure and my superpower would be super sight! I’d love to be able to spot a bargain a mile away. The S is for secure and my superpower would be Second Sight so I know what my kids are going to get up to before they do it. The s stands for secure. And my super-power would be SLEEPING! My superpower would be sagacity, so that i would know everything! My superpower would be a Sun controller. I would be able to make the sun appear anytime I wanted to! S stands for Secure. My S superpower would be strength – could handle any situation that I got myself into…remove a plane that’s heading towards a building etc. S stands for secure. My superpower would be surprise so I could surprise my friends and family all the time! Secure. I think mine would be ‘secret’. The S stands for safety. If I were to have a superpower beginning with S it would be ‘Speedy’ then I can get everything done that I need to! s is for secure and my superpower would be a mindreader! The ‘S’ is for Secure. If I has a superpower it would be shape shifting so I could just be anything I want at anytime. Secure. My superpower would be Speaking abd understanding all languages! The ‘S’ stands for ‘Secure’ and I’d pick my super power to be superhuman speed! Hi everyone, this competition is now closed! We’ll be announcing the winner in a blog post next week so be sure to keep your eyes peeled. 🙂 Don’t forget you can also subscribe to free emails or follow us online to find out who the winner is and stay informed about future giveaways. Thanks to all who have entered and shared this time, we couldn’t have done it without you! The S stands for secure and I would have super speed to get me where I need to be fast!